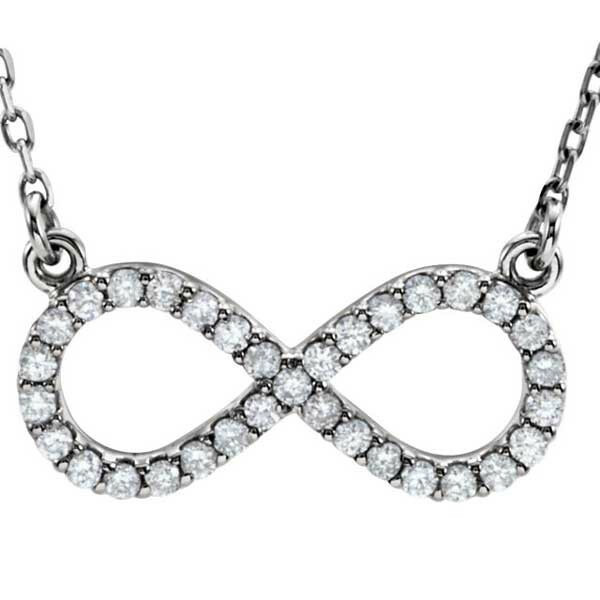 This infinity necklace is a piece of jewelry that you'll love forever! Crafted in 14kt white gold, the sinuous shape shimmers with diamonds and hangs from a 16" chain. The timeless design of the necklace is simply elegant, showcasing a popular fashion trend.